ATE is extremely proud to have launched a school feeding program at Lawra Girl’s Model Junior High School in Lawra today. 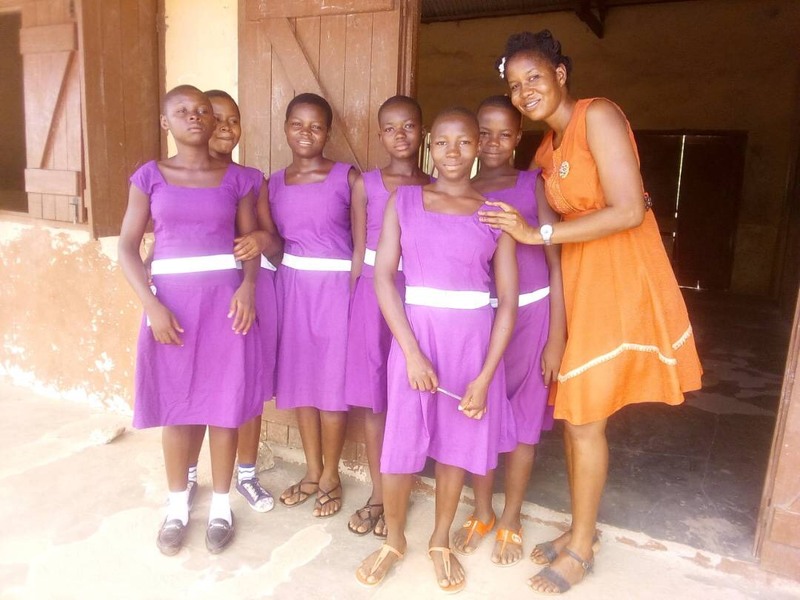 This brand new girls school, established in September 2017 by Ghana Education Service, is a unique opportunity for 34 vulnerable teenage girls in Lawra Municipal to receive education from outstanding teachers in a small group setting. Recognising the challenges and barriers that teenage girls face in accessing education, particularly after primary school, this is a wonderful initiative that promises to help girls complete school and enable them to become young people with greater opportunities for a bright future. Receiving a healthy meal every school day will make a huge difference to the children at this small school. Today, on day one of this program, the girls were delighted to receive a big portion of Jollof rice! For some, this may be the only meal they eat all day. 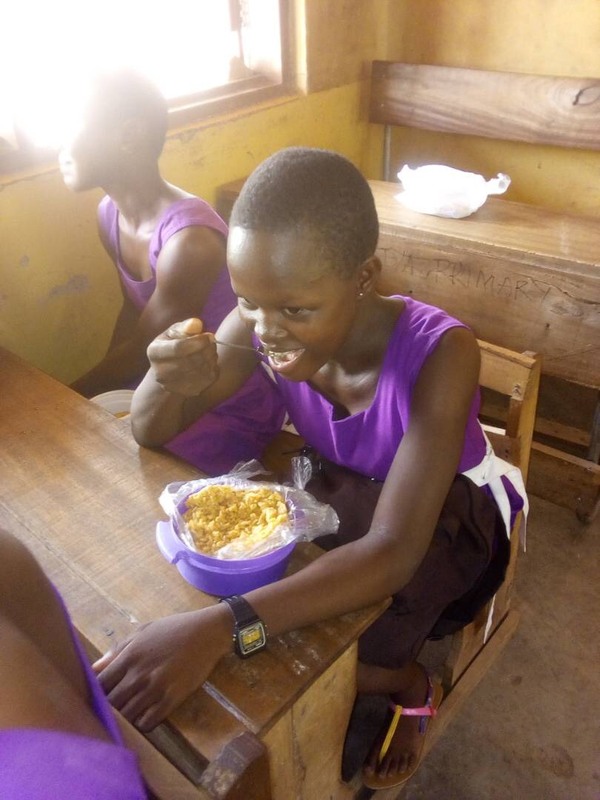 To make the very best use of donations, we have been able to link this new feeding program with our existing work at Karbo Junior High School. Each day, our cooks at Karbo JHS will cook 38 extra nutritious meals (34 children and 4 teachers) which will be taken by bicycle to Lawra Girl’s Model Junior High School which is less than a mile away. We are so excited to be supporting this new school, and to be working in partnership with Ghana Education Service. Thank you to everyone who is supporting ATE, we are so happy to be helping more children in this way.